They said it’d never happen. Looks like they were wrong. Commodore USA just announced that the Commodore 64 they announced back in December is available for preorder, and it is not alone. 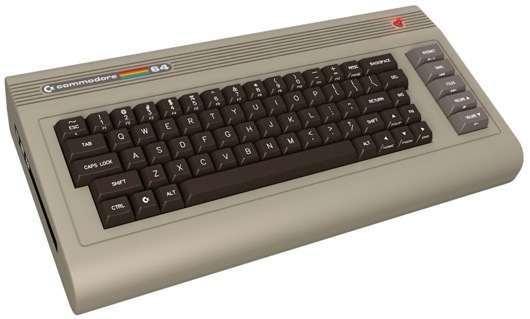 Boasting modern PC hardware and the ability to dual-boot Windows and the Amiga Workbench as well as emulate the classic Commodore 64 from days gone by, the new C64 is an impressive sounding machine with pricing that isn’t too shabby either. 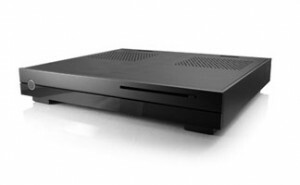 The new models (yes, there are several – 4 in fact) range from $595 for the basic 2 gig RAM, 160-gig HD, no optical basic model up to $895 for the C64x Ultimate which boasts 4 gigs RAM, 1TB HD and Blu-ray. A fifth option allows you to buy a bare bones package that you’d have to get components for and assemble yourself, which runs for $250. Check out the different models at the Commodore USA Store. I’ll confess I didn’t see this one coming at all. 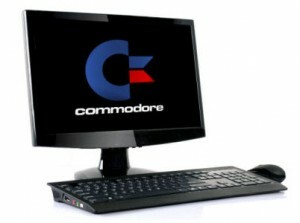 Back before my family got the C64, we started down the computing path on a Commodore Vic-20. I loved that thing, and now it looks like it has it’s own line of successors to carry on the name in the Vic-Slim and the Vic-Pro. 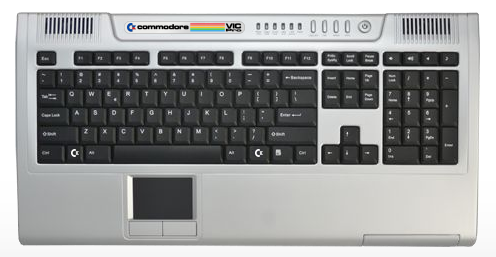 The Vic Slim offers a full-sized modern keyboard, as opposed to the classic C64 keyboard that the nostalgia-oriented new C64 has. It comes in 2 configurations; the the Vic-Slim Standard has 1 GB of RAM and a 250 GB HD, while the Vic-Slim Deluxe has 2 gigs of RAM and a 500 GB HD. They both have a 1.8 dual-core Intel Atom CPU and will run you $395 or $495 respectively. Like the C64, a bare bones option will be available for $295. The power user will want to check out the Vic-Pro. Like it’s slim cousin, it has two configurations to choose from, the Vic-Pro Standard and Vic-Pro Deluxe. The Standard runs a Core 2 Duo 2.93Ghz processor with 2 GB RAM and 500 GB HD, while the Deluxe runs a Core 2 Quad 3.0 Ghz processor with 4 GB RAM and 1 TB HD. They’ll be going for $895 and $1195 respectively, with the bare bones option going for $495. The new Amigas are coming soon rather than available for preorder now, but it looks like they’re bringing back the Amiga 1000, 2000 and 3000, and positioning them as home theatre PC boxes with case designs intended to look good among other home theatre gear. No pricing is available yet, unfortunately. You can check out the product pages for any and all of these new-old products at Commodore USA. Just be sure to come back and let us know what you think in the comments! it is great to have my commodore again, under my fingers, with a customized version of linux (the new commodore OS), which is the OS I like the most!!! You actually have one? That’s fantastic! What can you tell us about it? Which one did you end up getting?